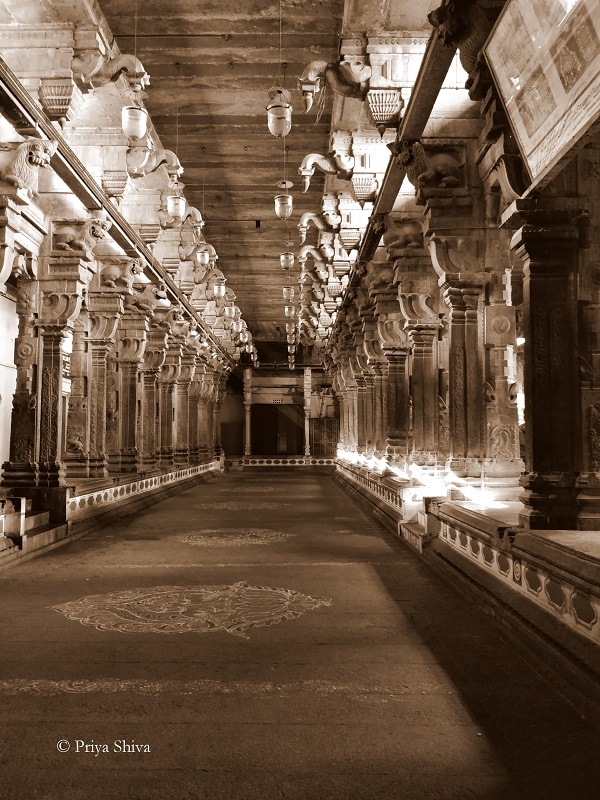 Travel is like breathing and our lust for travelling took us this time to the temple town – Chidambaram. 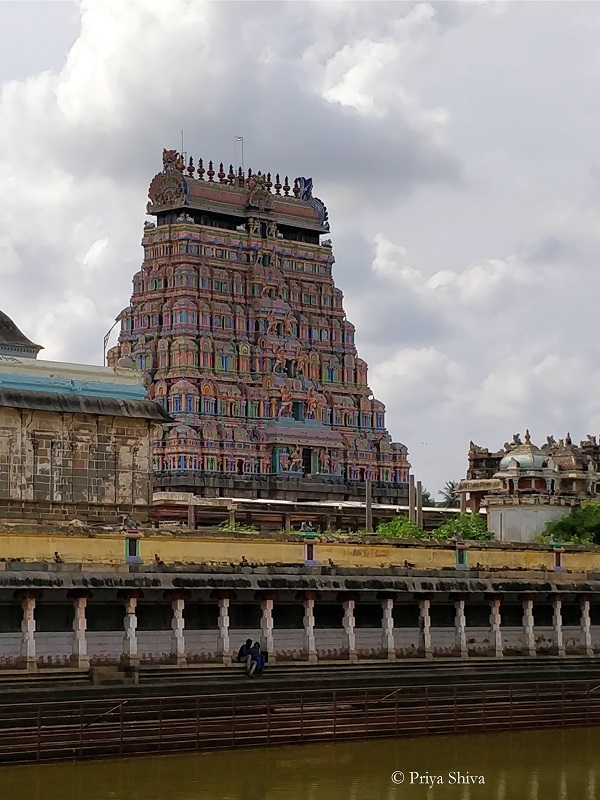 Chidambaram is a city in Tamil Nadu which is popular for its Nataraja Temple. It is located at a distance of about 220 km from Chennai. We decided to do a Weekend Travel From Chennai To Chidambaram by road. We started early and after taking a short stop for breakfast, we reached Chidambaram in about 5 hours. We finished our lunch in one of the oldest restaraut in Chidambaram to enjoy a nice South Indian meal. Udupi Sri Krishna Vilas served a meal on banana leaf and we were ready to enjoy our afternoon siesta. 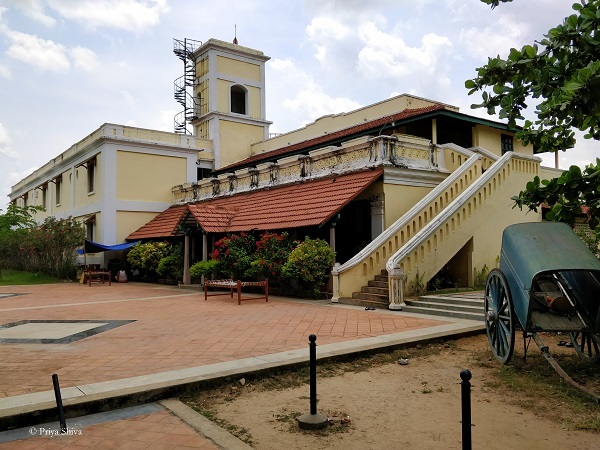 We chose to stay in an offbeat place in Chidambaram and had a relaxing afternoon at Lakshmi Vilas. We decided to venture out in the evening and made our visit to Brihadisvara Temple in Gangaikonda Cholapuram. 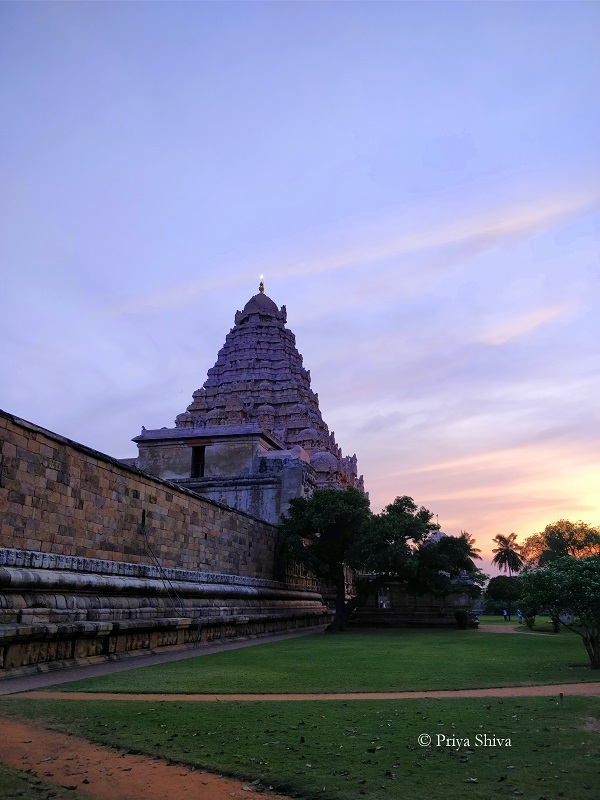 Gangaikonda Cholapuram was the capital city of Chola dynasty and you can as well read about the history of the town in wikipedia. 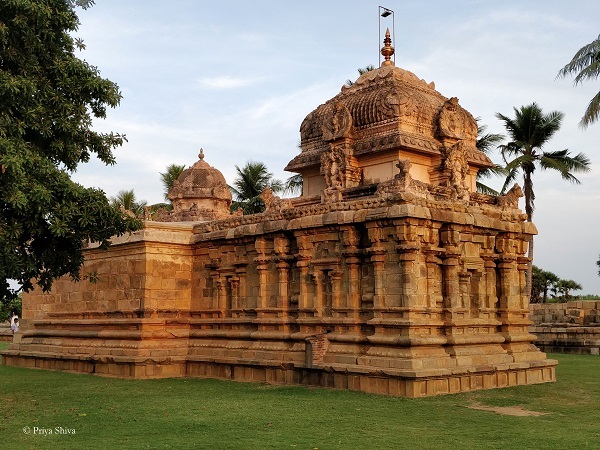 The small town is about 40 km from Chidambaram and one must visit this beautiful Brihadisvara Temple. It was sunset time and the temple looked absolutely spectacular. Gangai Konda Cholapuram Brahadeeswarar Temple built during Chola dynasty is dedicated to Lord Shiva. 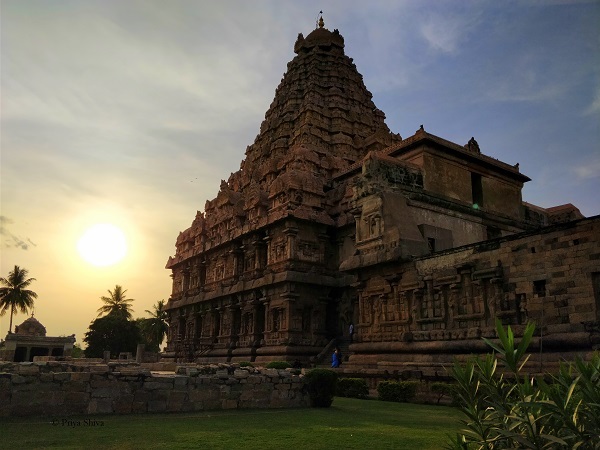 The architecture splendor is a portrayal of complex carvings on the hard granite stones and the structure is very similar to the Brihadisavara temple in Tanjore. 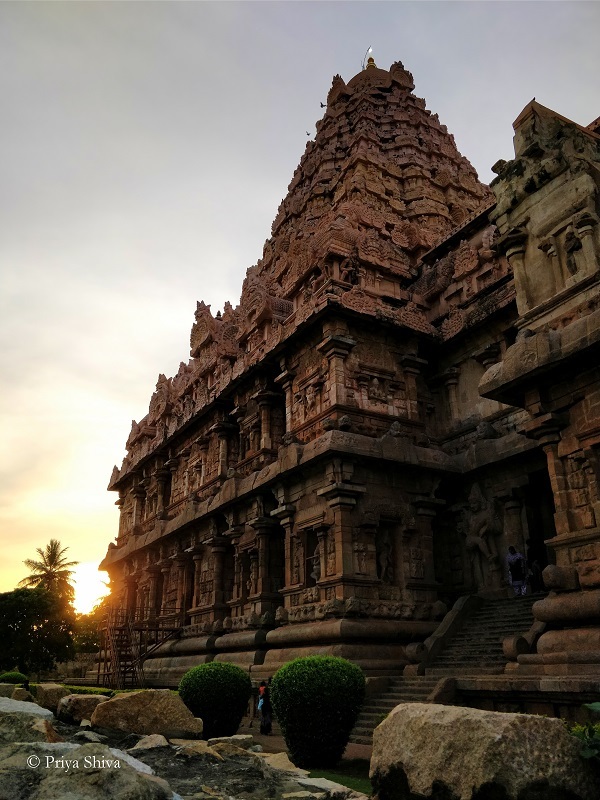 This temple is now an UNESCO world heritage site and one of the largest Shiva temples in India built in Dravidian architecture. 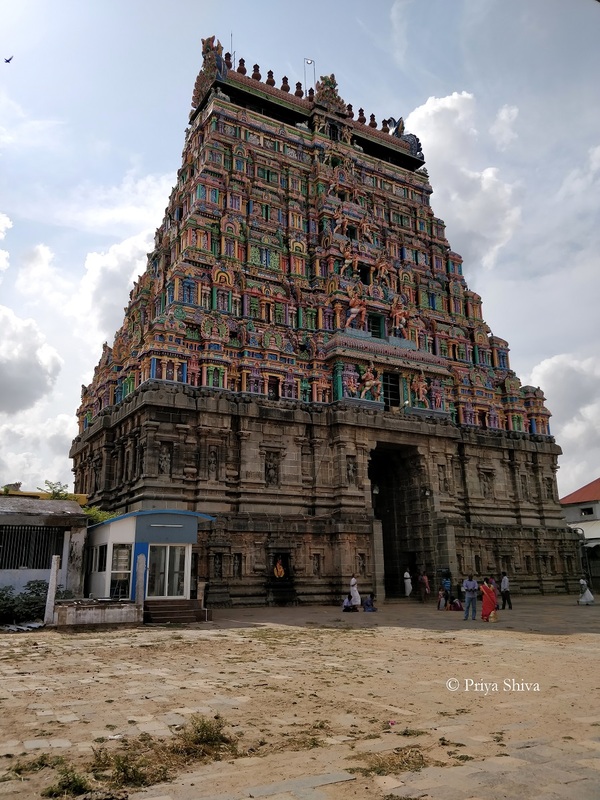 The temple is believed to have been completed in 11 century and stands beautifully to show the history, culture and heritage of South India. The beautiful carving depicting the dancing Nataraja, Shiva and Parvati surrounded by dancers have many tales to tell you. The temple is quite peaceful and you can enjoy a relaxing time with your family watching sun set too! 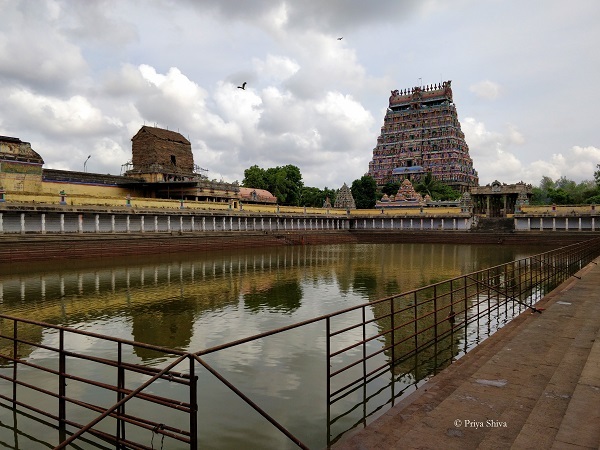 The next day started with an early morning visit to Thillai Nataraja temple in Chidambaram. This temple is in the heart of the city and the main attraction of the temple is Lord Shiva as Nataraja. Nataraja means lord of dance and it is believed according to Tamil mythology that Lord Shiva was a cosmic dancer. His two dance forms – Lasya and Tandava are commonly known and written about in Hindu scriptures and literature too. 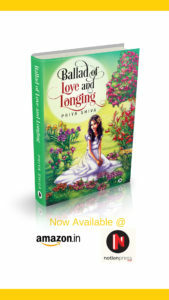 Lasya is the gentle form of dance which depicts creation of the world and Tandava depicts destruction of the world. After enjoying a heavy breakfast in one of the nearby restaurants, we drove down to Pichavaram mangrove forest and took a boat ride there. 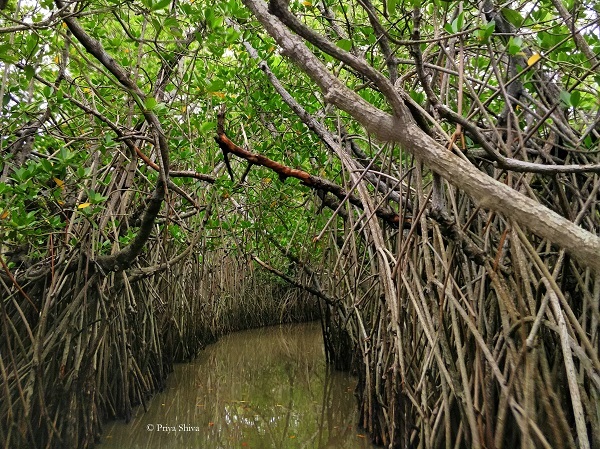 The mangrove forest at Pichavaram is spread over 1,100 hectares. The forest has more than 50 islands of various sizes and over 4000 big and small canals. 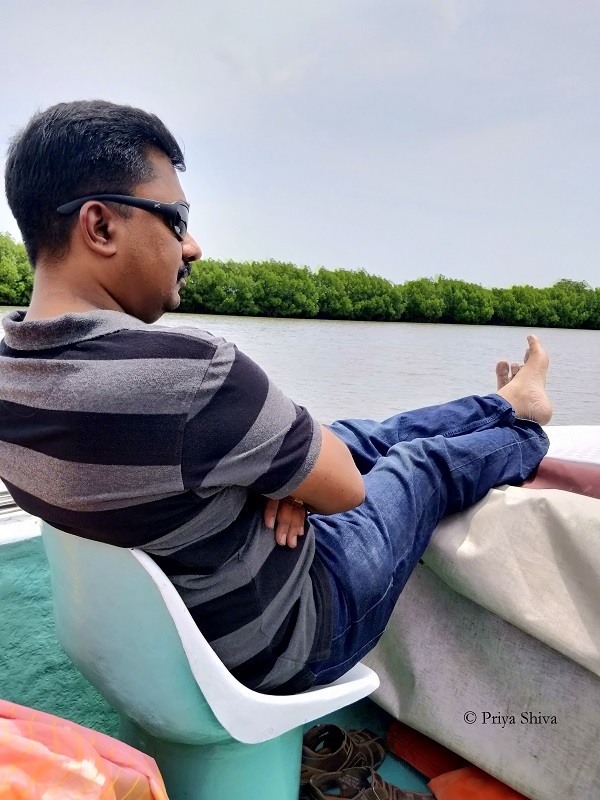 There are row boats and motor boats operated by the Tamil Nadu Tourism Development Corporation to take passengers through the mangrove forest daily from 9 AM to 6 PM. It is advisable to go going in the morning or after 3 PM especially in the summer time. 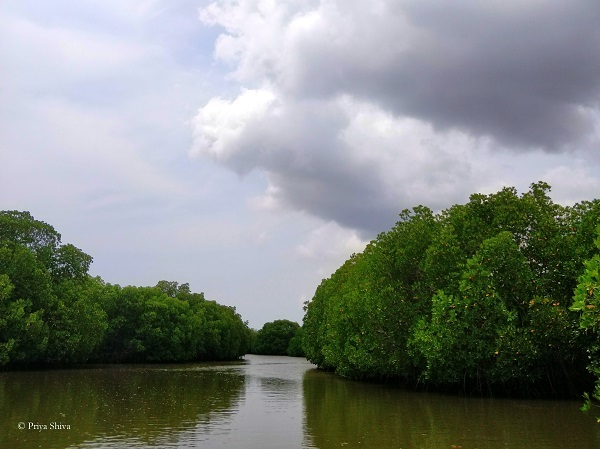 the 2 hour boat ride is worth it for a peaceful time in the mangrove forest and bird watching. We drove back to Chennai after spending a relaxing afternoon in mangrove forest. Tamil Nadu has many other beautiful places to explore. 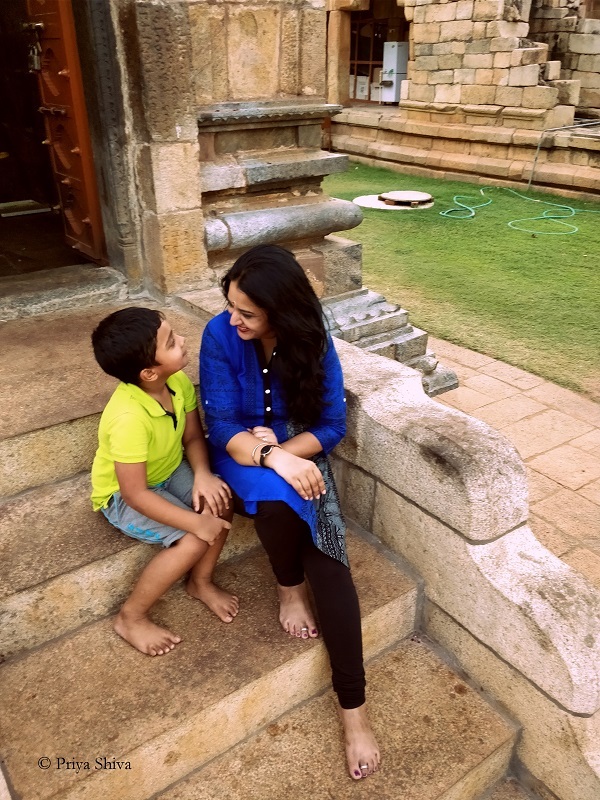 We have shared about our trips to Kanchipuram, Madurai and even Mahabalipuram. This weekend trip to Chidambaram left us replenished with peace and refreshed our weary soul. 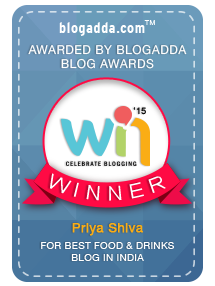 So, until we share about another travel, write to us about your travel experiences. We would love to hear from you..